Globalization and firm growth: does ownership matter? 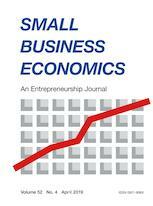 Gender and bank lending after the global financial crisis: are women entrepreneurs safer bets? Unwrapping opportunity confidence: how do different types of feasibility beliefs affect venture emergence?